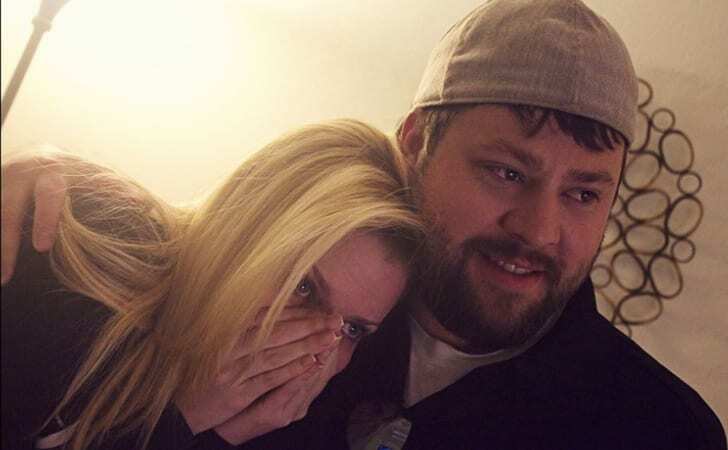 After trying to conceive for almost a decade, this couple found out an exciting news. The endless love for our children is one of the few things that the human race has in common all around the globe. As we get older, we realize that children are the most precious thing in this world. The joy and happiness that they bring into our lives cannot be measured or to be replaced with anything else. Unfortunately, sometimes this privilege is been taken away from many great mothers and fathers for various reasons. Life is not always fair. Meet Ashley and Tyson Gardner, a young married couple that belongs to the church of Jesus Christ of latter day saints community in Utah. Ever since they first met, they knew that they were meant for each other. The young couple’s greatest passion and desire were to have a large family together. After their marriage, the couple tried to conceive for over eight years, but with no luck. Although they were tired and frustrated with the situation, the Gardners refused to give up. Sitting at the doctor’s office waiting to hear the news was never easy on Ashley and Tyson and in a way, they already knew ahead of time what the doctor would tell them. They were planning to be disappointed one more time when they entered their doctor’s office one morning in July. Little did they know that they were about to receive the most monumental news in the world. When they thought they have heard it all, they never expected these results from Ashley’s ultrasound. Ashley and Tyson’s story is a one of endless love, persistence, and devotion. A story of one couple that refuses to give up his hopes and dreams. We hope that it will inspire all of our readers to always pursue their goals in life. Ashley and Tyson, a happily married couple from Utah has always dreamt of a big family. In fact, they can barely remember what it’s like for them to be a couple without trying to conceive. For eight years, Ashley and Tyson Gardner have shifted their entire energy and focus to trying to make a baby. When they got married, the last thing they were thinking was how hard it would be for them to conceive. You would think that after a few years they would give up hope, but the Gardners just kept on going and hoping. 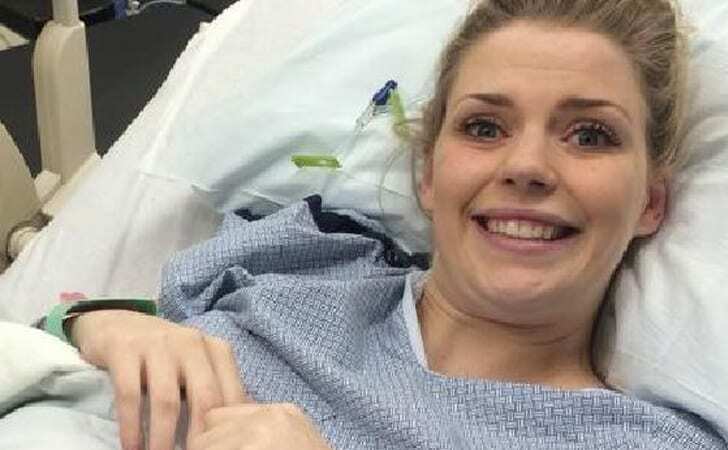 Ashley has suffered from a painful condition called endometriosis which is an unpleasant disorder which causes cells to grow outside of a female’s uterus. It can mainly cause a woman feel extreme fatigue and may lead to fertility problems. Some of the more common symptoms and signs of endometriosis include severe pain during the period days and infertility, which is probably the one thing every woman is most scared of when it comes to her journey of becoming a mom. Another effect of that painful condition is when an egg is prevented from going down the Fallopian tube which can only mean one thing – fertilization is basically impossible. When trying to conceive the natural way is not an option, the next thing most couples turn to is IVF, In Vitro Fertilization. This technique can not only be frustrating and painful, it’s also costly. Ashley and Tyson knew that was their next step. 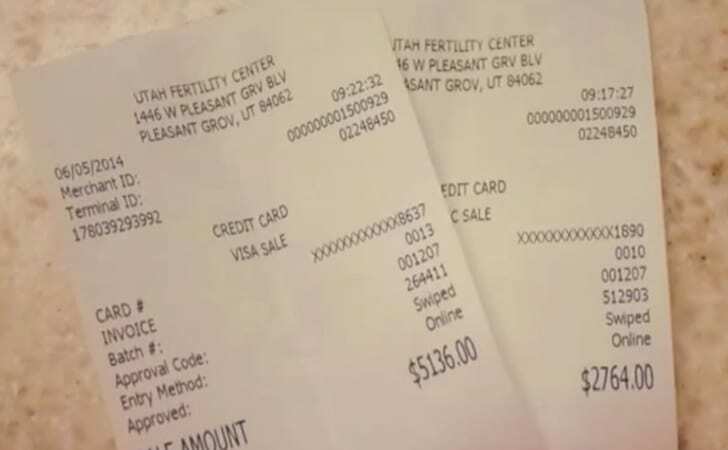 The Utah couple wanted to have a baby more than anything in the world, but they never imagined it would cost them so much money and emotional pain. They knew they need to save up every penny in order to fulfill their dream of starting a family. While they were definitely not millionaires, not even close, they did want a baby more than anything in the world and nothing was going to stop them. Once Ashley decided she was emotionally as well as physically capable of going through with the painful procedure of IVF, her daily routine has changed entirely. 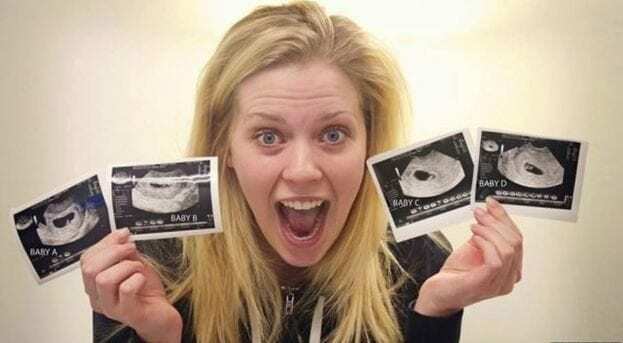 It was when she started undergoing the agonizing fertility injections that she realized the journey to becoming a mother starts way sooner than she ever imagined. She had to go through endless blood tests as well as frequent ultrasounds so her doctors could follow and monitor her progress. It’s safe to say that Ashley’s life has changed with her new routine. She was trying to eat healthier and integrated different vitamins in her diet. However, she also had to deal with the harsh side effects of IVF like extreme and painful headaches. Ashley had a rough month and she also had a physical reminder of her pain from all the injection bruises. The worst thing is that this process could very possibly lead to no results and throw you right back where it all started. The young couple waited impatiently for the cycle to end. When the 30-days cycle finally ended, They allowed themselves to become truly excited about their upcoming future. As it turned out, all their suffering was over and the doctors could start harvesting the eggs. 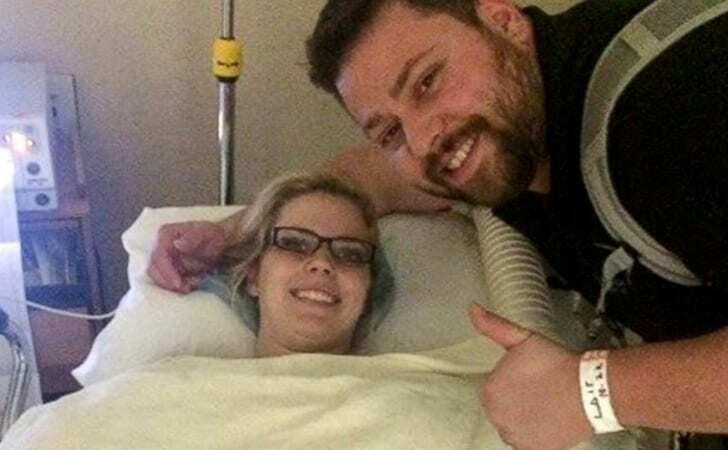 Upon finishing the procedure, Ashley stepped away from the session with 16 eggs in her womb. She held her fingers crossed that one of these eggs will be the one! The Doctors sat with Ashley and Tyson and explained to them what are their next steps. After the meeting, the doctors then decided to combine Ashley’s implanted eggs with her husband’s sperm for the fertilization process. They then explained to the young couple that once the fertilization process is accomplished successfully, an embryo is then created artificially. Afterward, the doctors will implant it in Ashley’s womb in order for it to mature. According to the doctors’ general assumption, many embryos are determined as healthy for implantation during a standard IVF procedure. In most cases, the extra embryos are sent mainly to a special freezer and are kept for an additional process in the future. They will then be used if it won’t work for the first time. As it turned out, Ashley didn’t have any extra embryos as only two of them were healthy. Ashley and Tyson could not sleep for the entire week, as they were waiting for the final results regarding her blood test. She said that her husband is the amazing partner that any woman can ask for, and he kept her hopes up during that entire time. Together, they focused on positive thinking, good karma and a strong belief in God. Although they felt that time was passing extremely slowly for them that week, they hoped for the best. 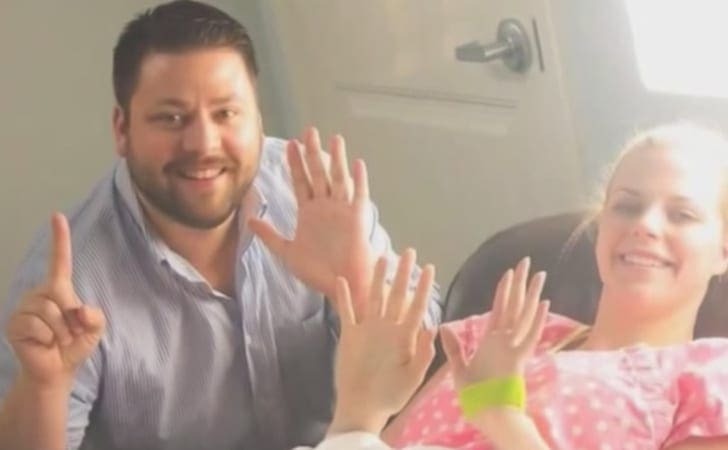 Due to the fact that the couple went through such an excruciating, never-ending process, they were extremely excited to know about Ashley’s test results. In order to memorate this moment, Ashley and Tyson decided to hire a special photographer in order to document them while they reveal the doctor’s results, capturing every moment. 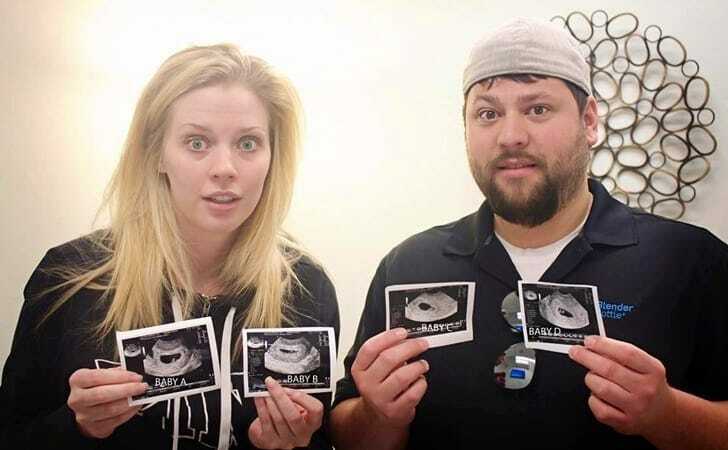 Luckily for him, The couple finally received the amazing good news – they were pregnant! Their dream became a reality. However, the shocked couple had no knowledge regarding the additional information, as they did not know if only one embryo was implanted or possibly both of them. For the time being, they only knew that Ashley is indeed pregnant and began thinking about the possibility of having twins in the family. They then visited their fertility doctor for an examination and decided to do an ultrasound. No one could ever imagine what they saw on the screen. Ashley, Tyson and the fertility doctor were amazed to see the picture on the screen. The ultrasound showed that both of the embryos had split into two, thus creating two couples of twins. 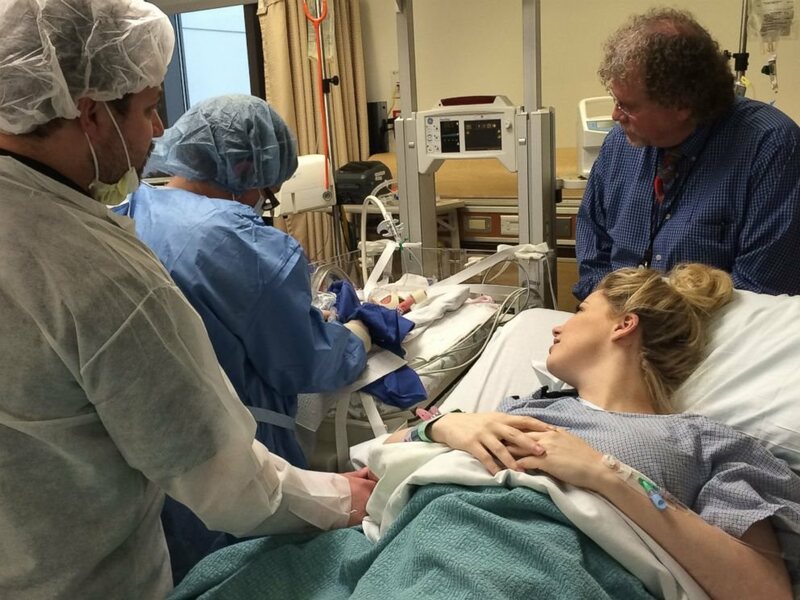 As a result of this amazing scenario, Ashley found out that she would have quadruplets! According to medical researchers, that happens only on in every 800,000 births. 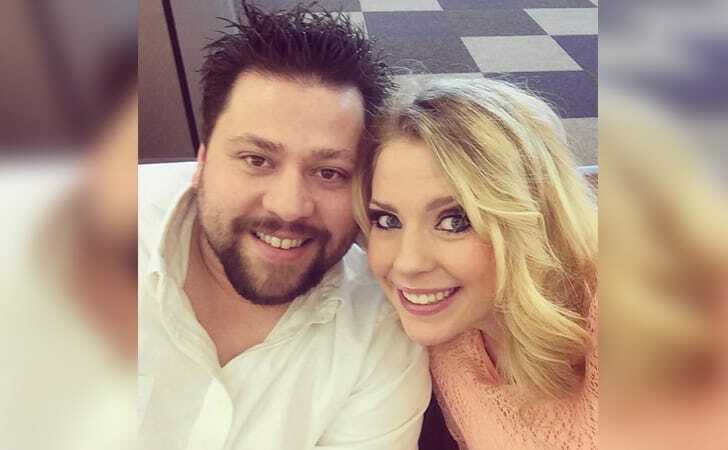 Ashley and Tyson felt that God gave them a gift after everything they went through. 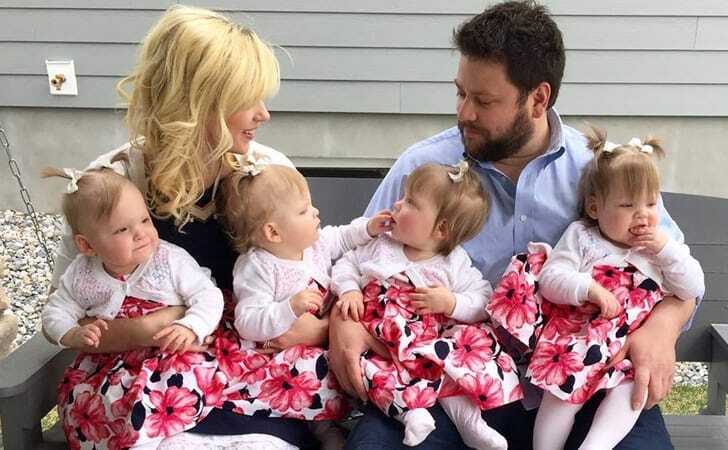 “When we first found out we were having quadruplets, it was pure terror and pure joy at the same time,” Ashley later revealed her mixed emotions. She also said that none of the hospital staff could have anticipated what has happened to them. After finding out about her special condition, Ashley went through extreme measures to secure her health. 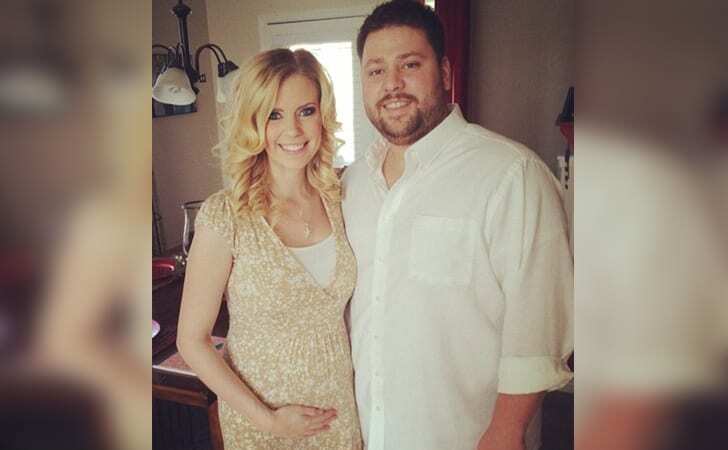 She and Tyson stated that they were extremely afraid that something bad will happen during their pregnancy. Tyson added that they could not think of losing their babies after everything they have gone through. Ashley wrote on her blog about their fears from the upcoming months and risks, urging her followers to send them love and support. Following a warm response from followers in Ashley’s personal blog, the couple then continued posting about their unexpected happiness all over the internet. Very soon, all of their close circle of friends and family knew about their big news. Ashley’s bizarre and unique story soon became extremely viral, and the couple began receiving attention from many successful shows and channels in the United States such as Good Morning America and CNN. As the due date approached, love and joy reigned in the Gardner residence. Fortunately for they young couple, Ashley was under extreme care at the clinic and her pregnancy passed smoothly and quickly without any issues. On December 2014, she gave birth to four beautiful little girls. 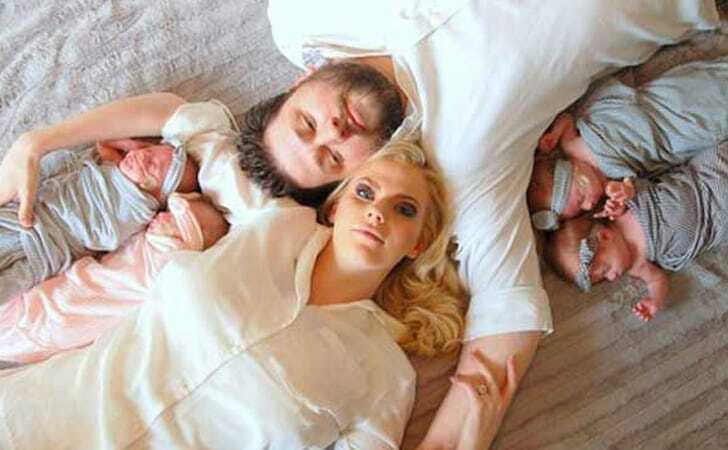 Upon their delivery, they found out that they are two sets of identical twins. Ashley and Tyson decided to name them Scarlett, Indie, Esme, and Evangeline. “We’re tired, sure, but we’re absolutely happy,” Ashley revealed in an interview. She also said that although the couple was having trouble looking after so many offsprings, they slowly adapted themselves to their new lifestyle. The couple also relies on help from friends and family. “As a first-time dad, it’s been a roller coaster of emotions from the beginning. It will certainly be a challenge, but we’re up to it and we’re confident”, Tyson added. Tyson and Ashley are currently writing their own blog, which is entitled with the great name Quad Squad. 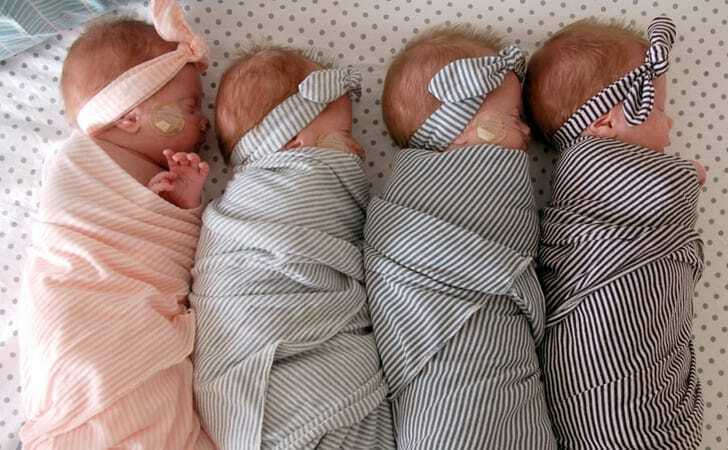 In the blog, the young couple let the readers into their new world of parenting to quadruplets, while sharing funny anecdotes from their lives. Tyson is also giving general advice to young parents, in which he frequently uses one of his favorite quotes: “For the sanity of yourself and those around you, consistency is key!”. Following the Gardner family’s new found fame after their story has gone viral, the couple was then invited to appear as guests on The Ellen DeGeneres Show. During the show, they discussed their long journey to parenthood and their joyful-yet-busy new lives as a family. The amazed Ellen then introduced the four little girls Indie, Esme, Scarlett, and Evangeline to the audience, before surprising the young couple with a family trip to Hawaii.